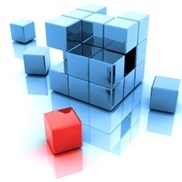 SOA Architecture: what possibilities can it offer for system integration ? Information system of most enterprises is heterogeneous in nature and comprises a combination of legacy and modern systems. The newly developed systems and IT services must be able to keep up with the ones developed in the past. In many cases indeed, the legacy systems are running critical business processes and their replacement represents real issues in terms of risks, expenses or effort needed. In order to address this interoperability problem, an SOA based integration approach can be adopted. This makes it easier to combine components into applications and to be able to communicate or share data among them. One field of the application of the Service Oriented Architecture is Telecommunication. Service-Oriented Architecture plays a key role in transforming Telecom Company’s IT Infrastructure into an agile architecture enabling it to react quickly to the dynamic market conditions. In fact, Telecommunication networks are service centric and therefore benefit from service composition techniques in accordance to Service Oriented Architecture principles. Adopting SOA in your IT infrastructure increases the possibilities of introducing new services and marketing ideas dynamically reaching the customer quickly and efficiently at a lower operational cost.